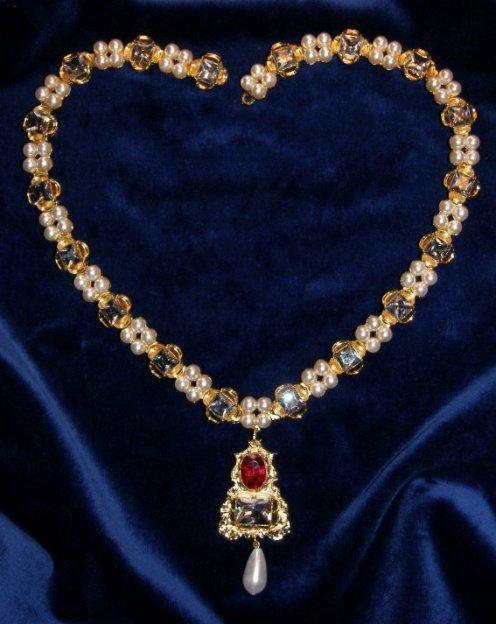 This gold plated chain is extensively set with synthetic diamonds (cubic zirconia) and simulated pearls. From it is suspended a gold plated pendant set with synthetic ruby and a large imitation diamond. The original may be seen in the portrait of Jane Seymour by Holbein. Length twenty and a half inches (51cm).